Twist and Turn, Story about Chong Ket Pen and His Ambition - Lisa Maulida R.
Well, sorry if this story make you dizzy. Something interesting led me to review a topic I had never learned before : business and the scandal of a great figure. If you read the title, you can imagine that humans cannot be separated from lust and ambition. Even though it is rich people. Treasures, thrones and women are always make human become bad. Oke. Let's start telling stories. 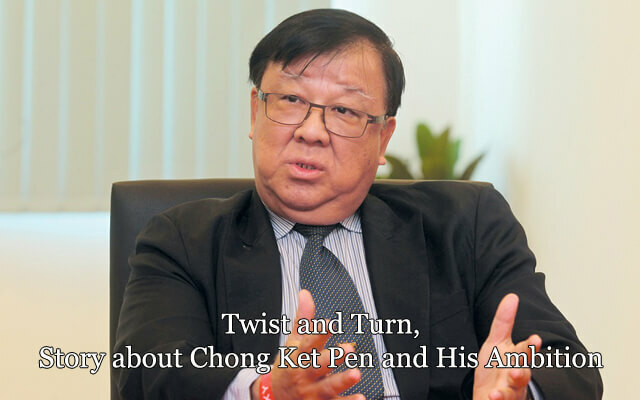 Chong Ket Pen or we can say Dato’ Sri Chong Ket Pen was the Executive Director at Protasco Berhad (Protasco). Chong Ket Pen, under his personal capacity approached Global Capital Limited Indonesia (GCL) in a deal to get investor Tey Por Yee in assisting to inject funds and making Chong Ket Pen maintain his position as the Group Managing Director at Protasco. In return, nominating Tey Por Yee as Board member in Protasco and he will maintain Chong Ket Pen’s power in Protasco. Chong Ket Pen will nominate Global Capital Ltd’s investors as Board member in Protasco Bhd. All that he wanted is to maintain his position as the company’s Group Managing Director. Tey Por Yee, Transaction Advisor and Official Spokesperson of GCL. Chong Ket Pen assured Global Capital Ltd that he will propose to the Board of Protasco Bhd to undertake a new oil and gas business subsidiary. In response to it, Tey Por Yee proposed a deal to Protasco and that is how he searched and found PT Anglo Slavic Utama (PT ASU) with the contract. Chong Ket Pen has agreed to acquire a major share of PT ASU and appointing PT ASU as the company to secure the O&G contract. Tey Por Yee became the largest shareholders of Protasco with 27.11% shares after signing of the Agreement. But it is nominee under the personal capacity of Chong Ket Pen. The deal, viewed as a ‘premium’ was done on the assurance of Protasco Bhd’s planned venture into the oil and gas sector. 1. As financial backer of Chong Ket Pen, Tey Por Yee agreed to maintain Chong Ket Pen in charge as Protasco’s Group Managing Director. 2. Chong Ket Pen guarantees that Protasco will buy PT ASU’s assets. 3. Chong Ket Pen shall seek Protasco’s Board and relevant authorities if required. Chong Ket Pen arranged for Protasco and PT ASU to enter into a Sales and Purchase Agreement (SPA), which was governed by an arbitration clause and stated : Protasco to acquire 76% of equity interest in PT Anglo Slavic Indonesia (PT ASI) from its parent company PT ASU and Chong Ket Pen will complete the deal in six months. But Chong Ket Pen delayed the deal from six months to 18 months and was inducing PT ASU to accept a revised deal of merely a USD 22 million deal or 63% equity. Chong Ket Pen asked her son Kenny Chong Ther Nen colluded with PT ASU Former Director (Tjoe Yudhis Gathrie) to forge false documents, to make it look as if PT ASU has failed to comply to the terms of the SPA. Furthermore, Chong Ket Pen together with Tjoe Yudhis Gathrie also fabricated misleading allegations against PT ASU to put blame on PT ASU’s alleged failure. Therefore the SPA was terminated. The SPA termination has caused PT ASU to have insufficient capital to proceed with the oil production in Aceh and experiencing major opportunity losses. 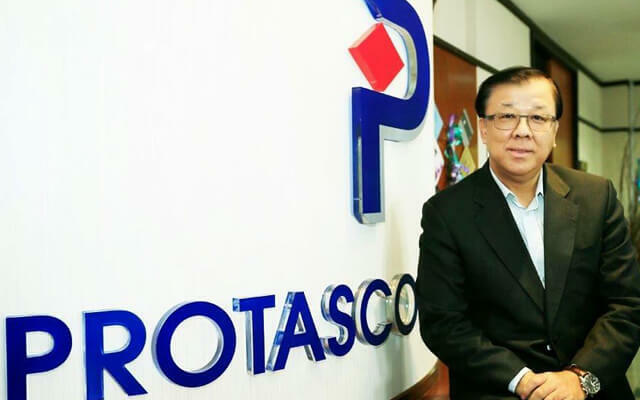 Chong Ket Pen had made the proposal for the transaction of Protasco’s shares without disclosing his personal interest in obtaining control over Protasco, through the Investment Guarantee Agreement. Chong Ket Pen maneuvered by putting the blame on GCL investor Tey Por Yee. Chong Ket Pen together with Tjoe Yudhis Gathrie fabricated false information by alleging Tey Por Yee for conducting insider trading, accusing him of discreetly being the beneficial owners of PT ASU. This is a bad thing, because Chong Ket Pen accused Toey Por Yee of covering up the mistakes he made. The false allegation fabricated by Chong Ket Pen and Tjoe Yudhis Gathrie was clarified when the real PT ASI beneficial owner issued an affidavit, proving that Tey Por Yee is not the owner nor in control of PT ASU. It has also been proven that the involvement of Tey Por Yee with PT ASU was upon Chong Ket Pen’s request, in which Chong Ket Pen placed the order and engaged GCL himself through the Personal Guarantee Agreement. Thus, the false allegation fabricated by Chong Ket Pen against Tey Por Yee was merely part of Chong Ket Pen’s plan in the first place to gain control over Protasco, and putting the blame on GCL and its investor Tey Por Yee. Bursa Malaysia public information revealed that Chong Ket Pen has been drawing unrealistic remunerations from Protasco Bhd at the peak of USD 576,000 in 2017 and USD 1 million in 2016 respectively, after he gained control over the company. This suggested that Chong Ket Pen entered into business transactions and decisions on operation, remuneration, payments of dividends and salaries for his own benefit at the expense and the best interests of the company. 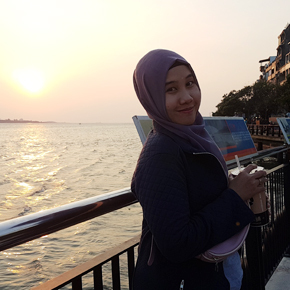 A few years later, Chong Ket Pen went to a Malaysian prominent business media The Edge and shared false reports and misleading facts as well as confidential information, which was first published by The Edge on Sept 10th, 2018. Because of this, GCL filed a police report against The Edge for misreporting, illegally obtaining confidential information, fraudulently publishing false or inaccurate information. Global Capital Ltd came into the thought that Chong Ket Pen has failed to ensure that Protasco Bhd was profitable. Then GCL filed a lawsuit against Chong Ket Pen to AG Chambers for Rp1.28 trillion, in breach of contract to the Personal Guarantee Agreement, which Chong Ket Pen has signed with GCL on 3 November 2012. And this month, December 2018, PT ASU who rose from adversity, has filed a report to the Indonesian police on fraudulence committed by Chong Ket Pen and Tjoe Yudhis Gathrie. And this is not the end of the story of man who is full of ambition but walks in a way full of cheating. Even Protasco Bhd had recently lost a huge contract, as its subsidiary HCM Engineering Sdn Bhd received a letter of termination from Turnpike Synergy Sdn Bhd (TSSB) due to delays in the project. I’m sure if that company still walks. From that article we can learn : Ambition will work well if there is no cheating. Everything will run fluently if we prioritize honesty. And success built from lies will not last long. See you in other English Article. Have a nice weekend! It's so complicated case isn't it?